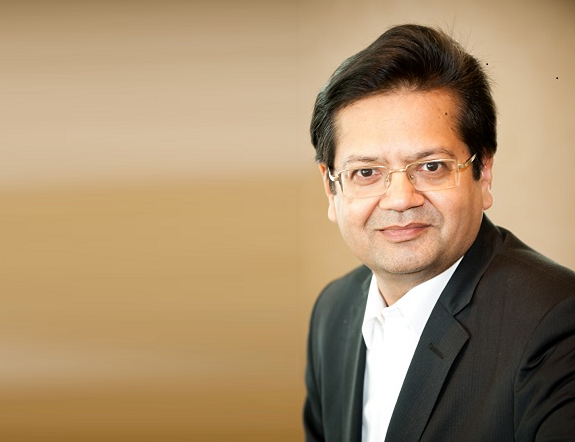 Dr. Bhaskar Ghosh is group chief executive—Accenture Technology Services with overall responsibility for the Accenture Application Services business. He directs strategy and investments for Accenture Technology Services, and leads platforms, products and global technology delivery. He is a member of the Accenture Global Management Committee. In this role, Bhaskar’s focus is to enable enterprises to embrace digital disruption and drive growth through innovation and services designed to reinvent their application portfolio. A key aspect in this is to help enterprises transform their business through the adoption of New IT, spanning strategy, technologies, architectures, platforms, methods, organization and operating models. Under Bhaskar’s leadership, Accenture transformed its Applications Services business and launched the Future of Applications vision, which emphasized that business leaders will play a bigger role in building applications and IT will play a bigger role in strategy. This vision underscored the role of software for differentiation and innovation, and urged companies to begin a reinvention journey and new operating model to compete in the high-velocity, software-driven world. Accenture Technology Services has made outstanding progress to rapidly rotate to the New and enable clients to lead in the New under Bhaskar’s leadership. More than 180,000 Accenture Technology people have been trained around the world in New IT, including automation, Agile development and intelligent platforms, and Accenture strengthened New IT offerings around data, cloud, security and Liquid Application Management. In the same period, Accenture opened a ground-breaking Innovation Hub in Bengaluru with a focus on driving innovation at scale, and a network of more than 18 Liquid Studios around the world. Before joining Accenture in 2003, Bhaskar was vice president and global head of IT infrastructure management services at Infosys. Earlier in his career, he held several senior positions with Philips in India, where he worked extensively with the consumer electronics industry. Bhaskar has been awarded patents in multiple areas, including IT automation. He holds a bachelor of science degree a master’s degree in business administration from Calcutta University and a Ph.D. in business process management from Utkal University in India.